If you have any connection to the natural, healthy or organic food industries, chances are you spent the first week of March descending on Anaheim, California for Natural Products Expo West, a.k.a. 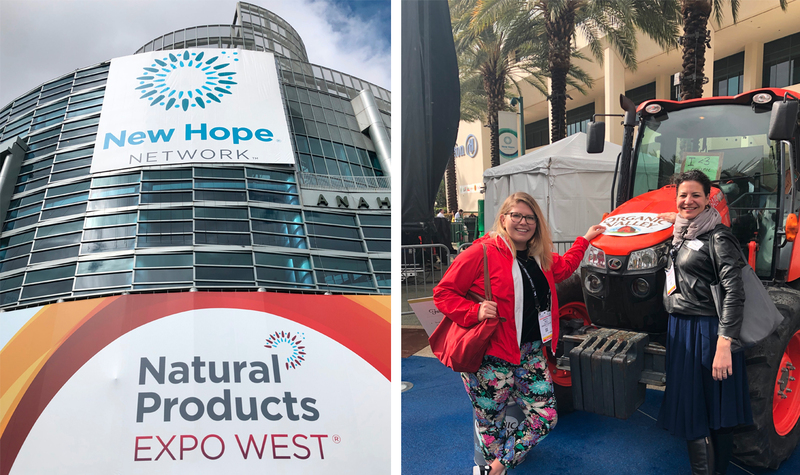 “Expo West.” Even if you couldn’t make it, you undoubtedly saw at least one of the thousands of #ExpoWest tweets that infiltrated social media timelines throughout the week. 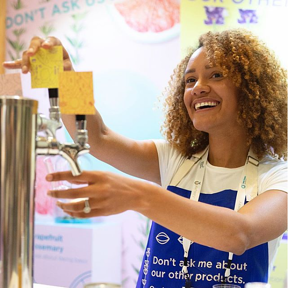 The annual event brought together more than 85,000 natural food fanatics to share innovations, best practices and to discuss what’s trending in this growing industry. While at the show with Organic Valley*, America's largest cooperative of organic farmers and one of the nation's leading organic brands, myself and Nicole Bestard, EVP & New York GM, had the chance to spend five days exploring everything that’s trending in the marketplace. For many mainstream consumers, “organic” simply means the elimination of pesticides and a few extra dollars tacked on to your grocery bill. But there’s so much more to it -- so much in fact, that conference organizers had enough content to fill an entire eight-hour day of programming. Introducing the third-annual Climate Day at Expo West, presented in part by the Climate Collaborative. During the day’s numerous panels, Yvon Chouinard, founder of Patagonia, Ryan Black, co-founder of Sambazon, David Bronner, Cosmic Engagement Officer (CEO) of Dr. Bronner’s, Sheryl O'Loughlin, CEO of REBBL, and Google X alum, Tom Chi, among many, many others, took the stage to discuss our climate future, ways brands can ramp up consumer around the issue, and how the organic movement is a key driver in combating and reversing climate change. Other brands took a more direct approach in their CTA. Clif Bar called out KIND in a full-page ad in the New York Times encouraging its competitor to make the switch to organic, citing benefits of having fewer synthetic fertilizers “polluting soil and water" and helping to fight climate change "by storing more carbon in the soil." Clif also challenged RXBAR and LÄRABAR to go organic as well. Ensures better soil health than conventional methods. Regenerative agriculture, in particular, is a hugely beneficial way to maintain arable land secure the world’s food future. Eliminates the presence of pesticides that may harm the natural ecosystem, which can help foster greater biodiversity. While the organic food industry is booming, and of course companies need to sell products, the brands who spoke at Climate Day all shared a common belief that we need to collaborate and work together to tackle this pressing issue. That’s why organizations like GAP (Grassroots Aid Partnership), co-founded by Organic Valley* and Dr. Bronner’s, are calling on other companies in the space to aid in disaster relief and help overlooked communities suffering from our world’s ever-increasing number of natural disasters. With the new Farm Bill now signed into law, it’s no surprise that we’re seeing an abundance of CBD and hemp companies burst onto the scene. As with Climate Day, Expo West featured an entire day of programming dedicated exclusively to discussions around this burgeoning sector of the U.S. economy. With so many companies vying for market share, it’s overwhelming to differentiate all the available offerings. At Expo West alone there were dozens, if not hundreds, of CBD and hemp companies offering thousands of different product SKUs. A few brands, however, caught our eyes. We were excited by RE Botanicals, America’s first USDA certified-organic hemp CBD brand. Beyond carrying the prestigious USDA Organic seal, the company is committed to regenerative agriculture, a practice that creates healthy soil, plants, people and climate. We also visited with Cann, a Venice, California-based startup developing a delicious, 35-calorie, CBD and THC-infused social tonic, in adventurous flavors like lemon lavender and blood orange cardamom. The beverages differentiate themselves by others on the market by providing low-dose (2 MG) THC drinks designed to be “sessionable” and social. We can’t wait for the company’s upcoming product launch. As busy PR pros navigating a week full of meetings, panels, intel gathering and booth exploration (not to mention tackling it all while trying to overcome the three-hour time difference), all the various coffee companies at Expo West were a sight for sore eyes. Lucky for us, there was no shortage of samples to pick from -- more than 150 to be exact! From fair trade, organic roasters committed to sustainability and ensuring its farmers earn a living wage, to super-smooth bottled cold brew, to caffeine-packed snack bars, there were plenty of options to keep us caffeinated through it all. It’s refreshing to see how many companies are committed to organic, fair trade and ethical sourcing in their supply chains. In a category that’s worth upwards of $100 billion globally, the coffee market and all its players are well-positioned to move the needle on many hot-button industry issues. With so much to see in such a short window of time, we’re sure we only scratched the surface, but left the show excited by what’s ahead in the natural food industry. Were you at Expo West 2019? We’d love to hear your thoughts; let us know on social @InkHousePR. And, if you’re a mission-driven, natural food/product company looking to amplify your public relations and integrated marketing efforts, let’s chat. 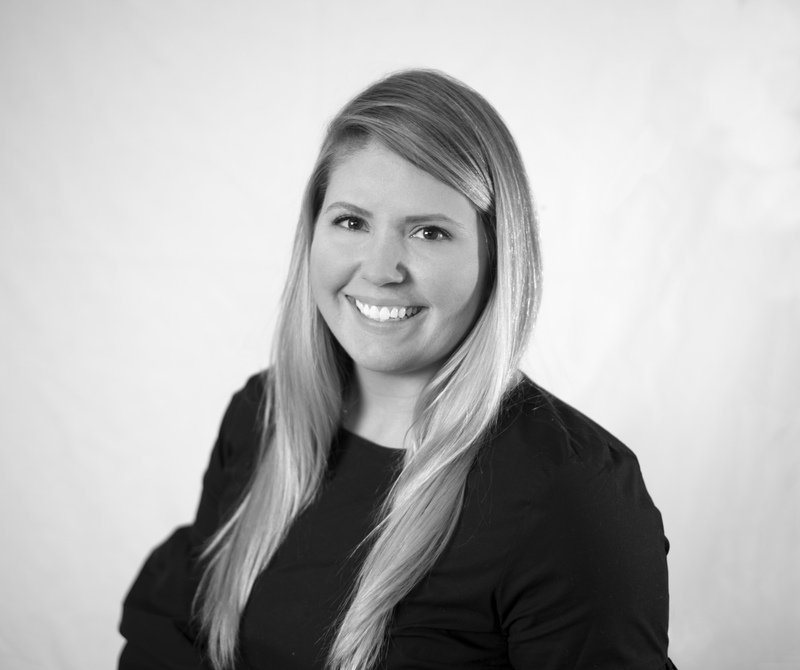 Bristol Whitcher Rice is an Account Manager at InkHouse working out of the Boston office. A media relations expert, Bristol is passionate about diving into her clients’ industries and coming up with creative ways to secure coverage in publications that move the needle for her clients. When she’s not busy pitching, Bristol drives PR campaign planning and development, influencer management and event support for activations around the globe.